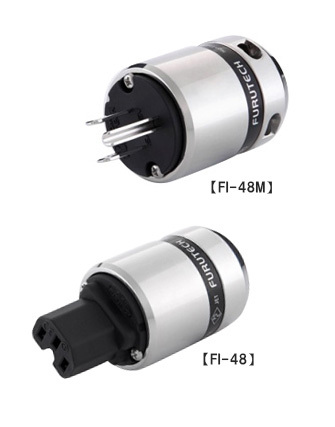 The Furutech FI-48 maintains the Furutech philosphy of keeping with pure transmission principles by making sure that every link in the power path is optimized. Case work is finished in nonmagnetic stainless steel with new design cable clamps for firm grip and resonance control. • Dimensions:gth 56.7mm x 39.5mm diameter x 92.0mm overall length.